Storefront Gallery (222 West 23rd Street) in the Chelsea Hotel has a show celebrating the 40th anniversary of the band Blondie that's on view from 1 to 8 p.m. daily from September 23rd to 29th. Jeffrey Deitch curated the exhibition of photos and memorabilia. 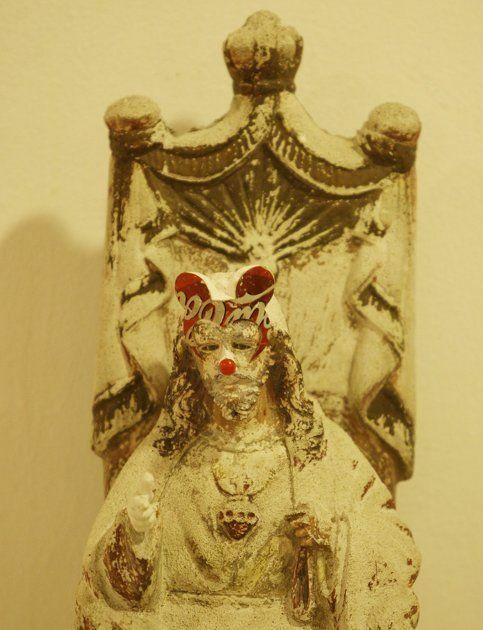 Look for works by Chris Stein, David Godlis, Bobby Grossman, Mick Rock, Robert Mapplethorpe, Roberta Bayley and more. We spotted Sting at last night's opening. 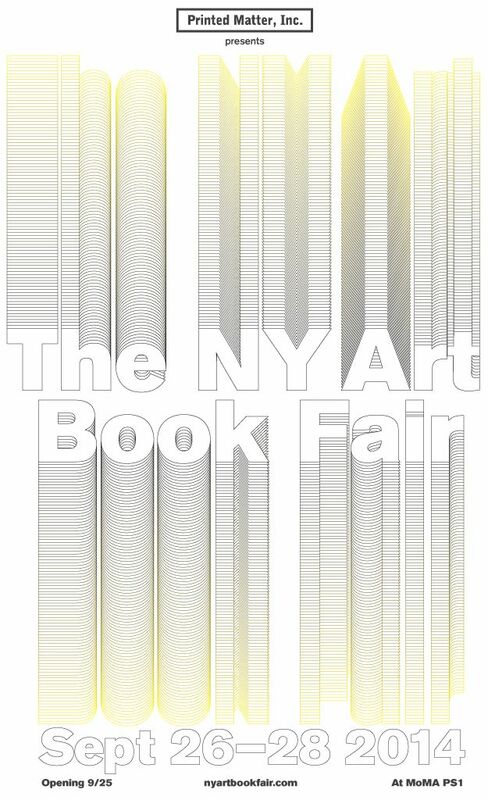 This week's main event is the opening of Printed Matter's ninth annual NY Art Book Fair on Thursday, September 25, from 6 to 9 p.m. over at MoMA PS1 in Long Island City. In addition to the over 350 vendors from 28 countries, there will be a DJ set from JD Sampson and a live set by Thurston Moore on the building's back "steps." Yes, the opening will be mobbed, but you can always check it out over the weekend, too. The fair is open on Friday from noon to 7 p.m., Saturday from 11 a.m. to 9 p.m. and on Sunday from 11 to 7. Moore will also be signing copies of his new book of lyrics, The Best Day, at 7 p.m. on opening night in the Printed Matter booth in the lobby of PS1. It's all free and open to the public. 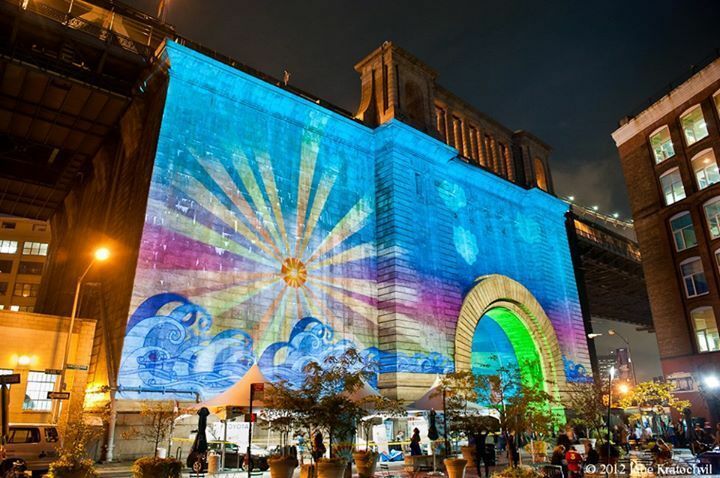 The DUMBO Arts Festival is also happening this weekend, September 26, 27 and 28. The numbers attest to the popularity of this annual celebration: over 200,000 visitors, 400 artists, 100 studios, 50 galleries. plus stages and pop-ups presenting music, dancers, poets and performers. It's FREE and open to everybody, so go here to check out the big list of what's happening. Also running all weekend is the 2014 edition of the Affordable Art Fair at The Tunnel (269 11th Avenue) with over 50 local and international galleries participating. 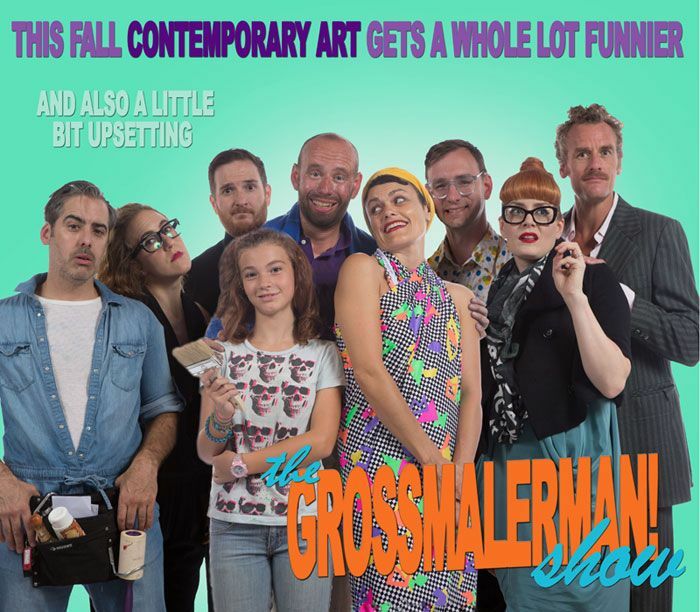 By "affordable," the organizers promise that more than half of the works on offer will be priced under $5,000 and some for as little as $100. It's open daily from 11 a.m. to 8 p.m. through September 29th, but on Monday they'll close up shop at 6 p.m. Advance tickets for $15 are available here and it's FREE on Friday from 6 to 8 p.m. -- sponsored by Keurig. 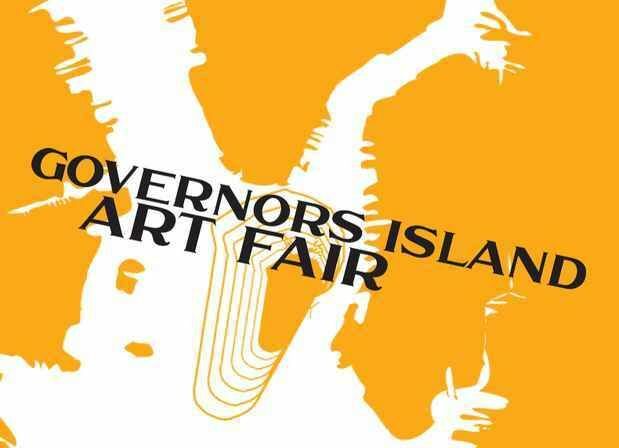 And it's your last chance to check out the 7th Annual Governors Island Art Fair. () Over 100 rooms in the old military barracks on Colonel's Row are packed with paintings, sculpture, photos, video and installations and admission is FREE, but the ferry from either the Battery Maritime Building or from Pier 6 in Brooklyn Bridge Park is $2. Check it out on Saturday or Sunday from 11 a.m. to 6 p.m. This is also the last weekend to visit Photoville on Pier 5 in Brooklyn Bridge Park. The massive photography exhibition is held in-and-around 50 shipping containers, plus there are talks, panels, workshops and a bunch of cool food vendors and a beer garden put together by the folks at Smorgasburg. On Thursday and Friday, it's open from 4 p.m. to 10 p.m. and Saturday and Sunday starting at noon. The Manhattan skyline views are great after dark. On Thursday, September 25, 6:30 to 8:30 p.m. there's an exhibition called "How Things Don't Work: The Dreamspace of Victor Papanek" opening in the Sheila C. Johnson Design Center, Anna-Maria and Stephen Kellen Gallery (66 Fifth Avenue @ 13th Street). The exhibition juxtaposes the work of the late, "controversial" artist Papanek with the work of emerging designers from Vienna, London and New York. It's hosted by Parsons The New School for Design and the University of Applied Arts Vienna and will be up until December 15. Grace Exhibition Space (840 Broadway, Brooklyn) presents a performance of "Life Is Beautiful" by the Philippines-based artist Mideo Cruz on Friday, September 26, 9 p.m. Not exactly sure what to expect here, but the artist - also "controversial" - has been known to show "strong allegorical images that challenge the social order" and will discuss "the diarrhea of information that demands us to believe that we live in a beautiful world." If you really miss MOSS, the iconic SoHo design gallery that closed in 2012, there's a new design shop called Chamber opening on September 24th under the High Line at 515 West 23rd Street in NYC, in a building designed by Neil Denari. It's the brainchild of Argentinean-born Juan Garcia Mosqueda, with some help for it's inaugural collection from the Belgian/Dutch designers Studio Job who "curated" 100 objects for the new space. There's even a special scent that's been created just for the opening by Julian Bedel. The big (private) launch party for Rizzoli's "homage" to PAPER OG Jeffrey Deitch and the 15 years of his incredible Deitch Projects on Grand Street in SoHo is this Friday, September 26th, with a "dinner and performance program." The book was designed by Stefan Sagmeister and it comes with a 3-D dinner plate attached to the cover. Order a copy here. 47 Canal (291 Grand Street, 2nd floor) has an all-day opening of a show called "New Feelings" by the New York-based artist Antoine Catala on September 28, from noon to 6 p.m. It's up until November 2. Note that by the 28th, the gallery will have moved permanently to it's new location at 291 Grand Street, but will still retain the "47 Canal" moniker. 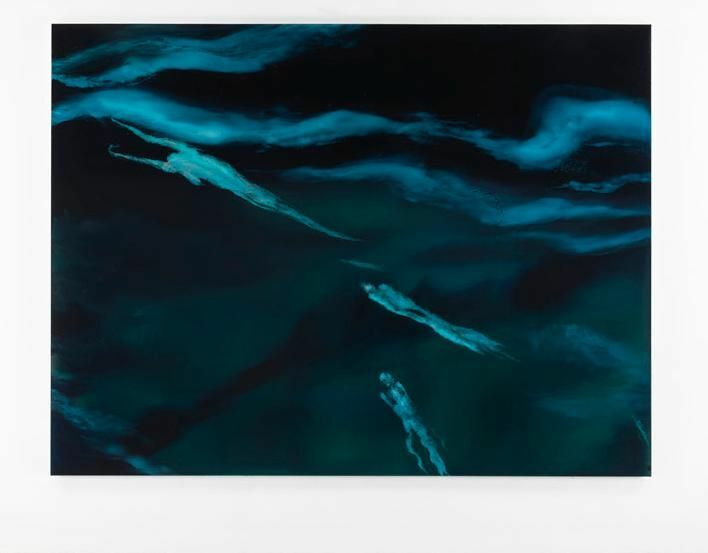 And, before we go, we'd like to recommend checking out Dan Colen's new "Miracle Paintings" at Gagosian Gallery (555 West 24th Street). You will be pleasantly surprised by these works, even if you're not a Colen fan. They are on view until October 18. Also check out Pierogi (177 North Ninth Street, Brooklyn) gallery's Twentieth Anniversary Exhibition before it closes on October 5 and stop by their satellite space, The Boiler (191 N. 14th Street, Brooklyn), on Friday, September 26th, 8 to 10 p.m. for the opening reception for "The GROSSMALERMAN Show," a sitcom collab by Guy Richards Smit and Josua White, creator of the Joshua Light Show. We spy Champagne Jerry, Ana Matronic and Dynasty Handbag! Homepage photo of Debbie Harry by Chris Stein.